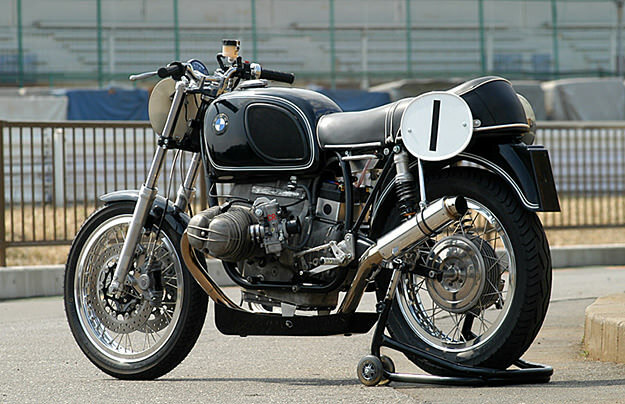 Our favorite upmarket Japanese custom house Ritmo Sereno has worked its customary magic on this lovely BMW R75/5 from 1970. The discreet modifications fall within classic racing regulations: they include ported and polished heads for the air-cooled boxer motor, a modified flywheel and clutch, AP Lockheed front forks, uprated brakes and new electrics. As usual, the quality of Ritmo Sereno’s work is beyond compare: just check these stunning images.